Recently I was having an animated conversation about literature, hagiography, and storytelling. (Yes, I do have a lot of those). During the course of a lovely evening, someone suggested that we need not more Lives of Saints, but more living examples of sanctity. “No one reads the Lives anyway,” he said. Perhaps he is right. A living, breathing saint should be a far more convincing inspiration than the (sometimes) idiosyncratic retellings of the lives of long-dead saints. But if that were the case, what are we to make of the following story? 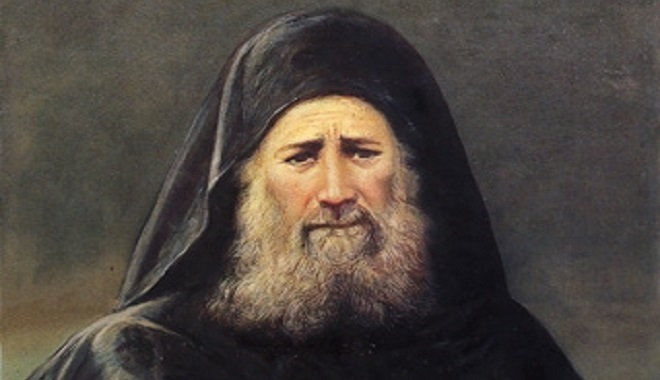 Elder Paisios, upon hearing of a certain Elder Joseph the Hesychast, decided to visit him. Immediately, several other monastics tried to dissuade him. They recounted horror stories of how Elder Joseph beat his monks, how he practiced self-flagellation. Then they topped it off with the magic words: Elder Joseph is possessed and deluded. Elder Paisios decided not to visit his fellow-saint. Later, he regretted it as one of the great mistakes of his life. If a holy man was not able to recognize sanctity when he heard about it, what is to prevent us from walking right past the world’s greatest saint, even if he lives next door? I believe that is exactly why we need the Lives of the Saints more than ever, if only because they, being written by poets (or at least those with poetic souls), help nurture a poetic way of viewing the world as an antidote to the mindset of the scientific method (see my previous posts here and here). What Tolkien says about tropes in fairy tales is just as true about legendary events or repeated motifs in the Lives, such as the miraculous appearances of icons on rivers, ascetics as infants fasting from their mother’s milk on Wednesdays and Fridays, angels imparting miraculous gifts of learning to the illiterate child. Even if, for the sake of argument, we concede that they could never happen in “real life” (whatever that is), they have a “literary effect” that helps make the Lives extremely effective instruction manuals for us who are mere children in the faith. Tolkien’s essay “On Fairy Stories” is an unexpected treasure-trove of wisdom regarding the usefulness of “fantastical elements” in the Lives of the Saints. True, he speaks of fairy tales, not hagiography. But I am still assuming, for the sake of argument, that the Lives of Saints, as they have been handed down to us, are full of fairy tales. In this light, his essay is very illuminating. Fantasy…is, I think, not a lower but a higher form of Art, indeed the most nearly pure form, and so (when achieved) the most potent. Fantasy, of course, starts out with an advantage: arresting strangeness. But that advantage has been turned against it, and has contributed to its disrepute. Many people dislike being “arrested.” They dislike any meddling with the Primary World, or such small glimpses of it as are familiar to them. They, therefore, stupidly and even maliciously confound Fantasy with Dreaming, in which there is no Art; and with mental disorders, in which there is not even control: with delusion and hallucination. Fantasy is a natural human activity. It certainly does not destroy or even insult Reason; and it does not either blunt the appetite for, or obscure the perception of, scientific verity. On the contrary. The keener and the clearer is the reason, the better fantasy will it make. If men were ever in a state in which they did not want to know or could not perceive truth (facts or evidence), then Fantasy would languish until they were cured. If they ever get into that state (it would not seem at all impossible), Fantasy will perish, and become Morbid Delusion. For creative Fantasy is founded upon the hard recognition that things are so in the world as it appears under the sun; on a recognition of fact, but not a slavery to it. Far from denying “facts,” fairy tales do a great deal more to illuminate the way the world is than dry scientific reasoning every could. There is a reason for this. We need, in any case, to clean our windows; so that the things seen clearly may be freed from the drab blur of triteness or familiarity… This triteness is really the penalty of “appropriation”: the things that are trite, or (in a bad sense) familiar, are the things that we have appropriated, legally or mentally. We say we know them. They have become like the things which once attracted us by their glitter, or their colour, or their shape, and we laid hands on them, and then locked them in our hoard, acquired them, and acquiring ceased to look at them. I would venture to say that approaching the Christian Story from this direction, it has long been my feeling (a joyous feeling) that God redeemed the corrupt making-creatures, men, in a way fitting to this aspect, as to others, of their strange nature. The Gospels contain a fairy-story, or a story of a larger kind which embraces all the essence of fairy-stories… But this story has entered History and the primary world…The Birth of Christ is the eucatastrophe of Man’s history. The Resurrection is the eucatastrophe of the story of the Incarnation… There is no tale ever told that men would rather find was true, and none which so many skeptical men have accepted as true on its own merits. For the Art of it has the supremely convincing tone of Primary Art, that is, of Creation. Art has been verified. God is the Lord, of angels, and of men—and of elves. Legend and History have met and fused. But in God’s kingdom the presence of the greatest does not depress the small. Redeemed Man is still man. Story, fantasy, still go on, and should go on. 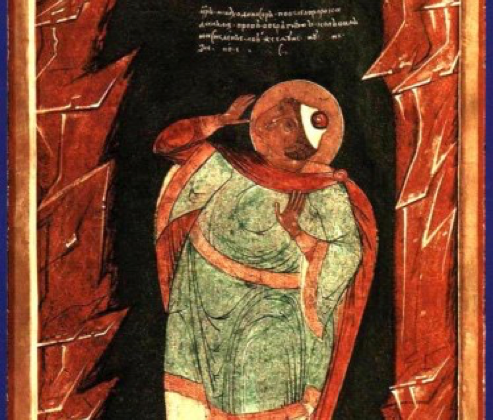 The Evangelium has not abrogated legends; it has hallowed them, especially the “happy ending.” The Christian has still to work, with mind as well as body, to suffer, hope, and die; but he may now perceive that all his bents and faculties have a purpose, which can be redeemed. So great is the bounty with which he has been treated that he may now, perhaps, fairly dare to guess that in Fantasy he may actually assist in the effoliation and multiple enrichment of creation. All tales may come true; and yet, at the last, redeemed, they may be as like and as unlike the forms that we give them as Man, finally redeemed, will be like and unlike the fallen that we know. So we should welcome these fairy tale elements in the Lives of the Saints, even if we have a hard time believing in their “historical” truth. The Lives are not made poorer by the inclusion of pre-Christian heroic exploits, slaying of dragons, expulsion of snakes from the bellies of pagans, miraculous journeys over impossible distances. They are enriched, as are we, if we train ourselves to have a moral imagination, not a diabolical one, if we strive to develop a poetic soul, not a critical one that destroys all it touches. Maybe, then, we can once again believe as children do. And children are in some ways much wiser than we. For the record, I am not suggesting that critical hagiography is a completely useless pursuit. It only becomes dangerous when we stop seeing the world as a constant revelation of God’s miraculous love. The Lives of the Saints, in the form they were preserved by the Tradition of the Church, help us regain that vision of a world fallen, but still illumined by grace. This sort of vision is indispensable for anyone who wants to cultivate Christian culture in our time. So very well said. I am a convert to Orthodoxy, and I admit that I found the “fantasy” hard to handle in the beginning. But the lives of saints are iconic and they grant illumination, and the light is not of this world. Those who insist in pure matter of fact in art and history are the same folks who say a shooting star is merely a chunk of rock falling to earth, or that love is merely a chemical mixture in the brain, or that a window is merely a hole on the wall. This is the curse of the modern man…he observes, but cannot see. Examples of sanctity could be filled with heretics. Heretics were almost always very moral and devout. Morality doesn’t make you a Saint. very good point. One that I make fictionally with one of my priest characters in my first novel. Hint: it doesn’t go well.